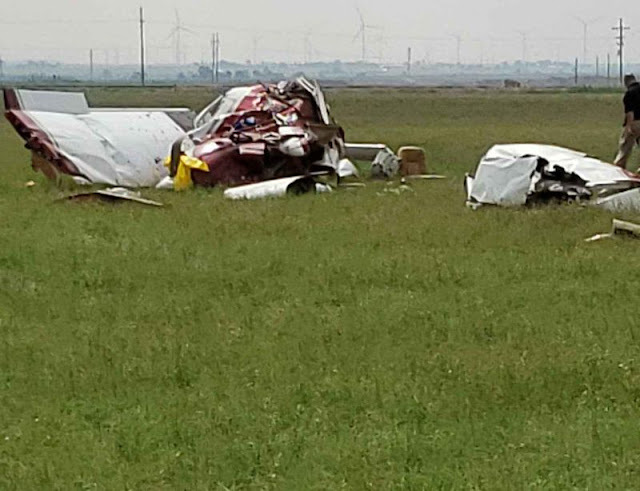 On September 9, 2018, at 1117 central daylight time, a Piper PA-32-300 airplane, N4078W, impacted terrain after takeoff from runway 20 at the Hereford Municipal Airport (HRX), Hereford, Texas. The pilot and three passengers were seriously injured and the airplane was destroyed. 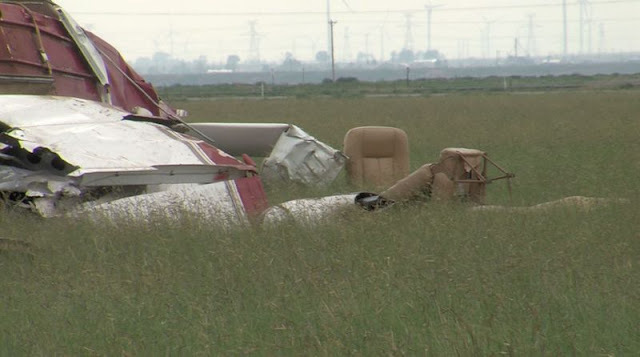 The airplane was registered to and operated by the pilot as a Title 14 Code of Federal Regulations Part 91 personal flight. Visual meteorological conditions prevailed for the personal flight that was not being operated on a flight plan. 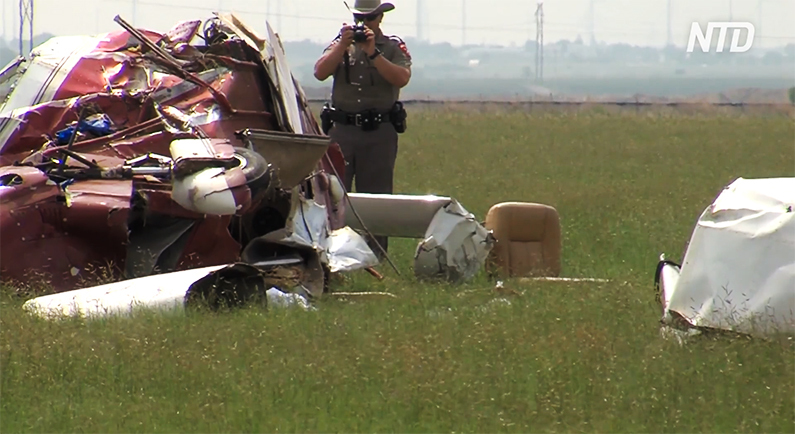 The flight was originating at the time of the accident and was destined for the Reagan County Airport (E41), Big Lake, Texas. 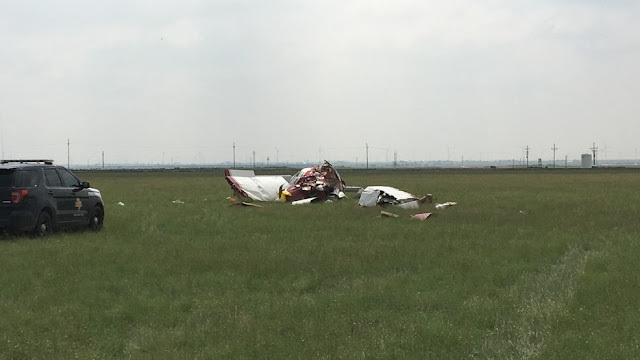 The pilot reported that she had no memory of any portion of the accident flight, including her arrival at the airport that morning and the pre-flight activity. A witness reported that he was in a T-hangar on the airport when he observed a portion of the takeoff. He stated that the airplane was in a nose high, tail low attitude before he lost sight of it behind a line of hangars. The engine sounded like it was operating at full power. 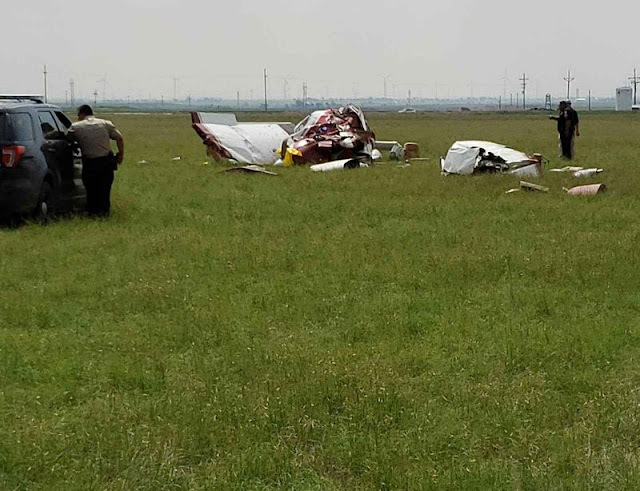 The airplane came to rest in a grass field about 350 yards southeast of the departure end of the runway. The main wreckage consisted of the fuselage, engine/propeller, right wing and empennage. The fuselage came to rest on its right side. The right wing had separated at the root and was located immediately adjacent to the fuselage. 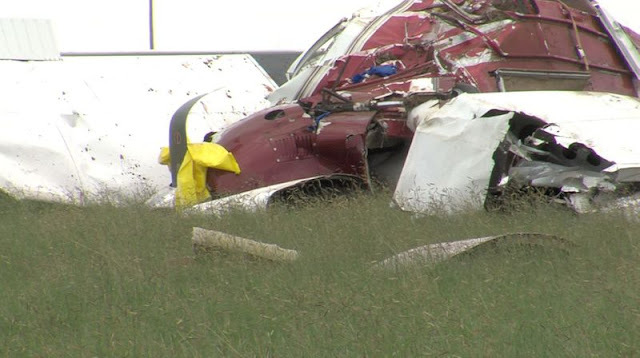 The left wing was separated at the root and was located about 50 yards north of the main wreckage. A postrecovery examination of the airplane did not reveal any anomalies consistent with a preimpact failure or malfunction. The airplane was equipped with an engine monitor which was downloaded. 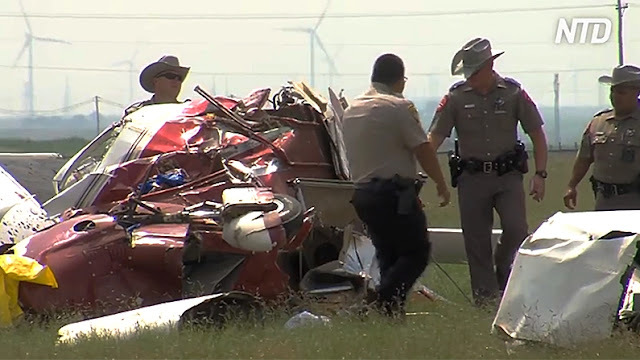 The data did not reveal any indication of a loss of engine power during takeoff. The data indicated that the takeoff began about 1116:40 as the engine speed increased to 2,659 rpm. The engine speed remained at or above 2,643 rpm until the penultimate data point, which was recorded at 1117:34. The final data point was recorded at 1117:40; the corresponding engine speed at that time was 2,209 rpm. The rated engine speed was 2,700 rpm. The remaining engine parameters were within normal operating limits during the engine run-up and takeoff. A weight and balance calculation based on the available loading information revealed that the takeoff gross weight was approximately 3,249 lbs. and the center-of-gravity location was about 92.59 inches. This was within the allowable loading envelope for the airplane. A current airplane weight and balance record was not available to the investigation. The calculation used a previous airplane empty weight noted in the Federal Aviation Administration airworthiness records. Performance information contained in the airplane owner's manual indicated that the expected takeoff ground roll with 10° flaps was about 1,800 ft and about 2,900 ft required to clear a 50 ft obstacle. With 25° flaps, the takeoff ground roll was expected to be about 1,700 ft and about 2,700 ft required to clear a 50 ft obstacle. The density altitude at the time of the accident was about 5,647 ft. The available runway length was 6,100 ft. The airplane owner's manual stated that during takeoff the airplane should be allowed to accelerate to 65 to 70 mph. The manual noted, "premature raising of the nose, or raising it to an excessive angle will result in a delayed take-off." The manual recommended a normal takeoff flap setting of 10° (first notch), and a short-field takeoff flap setting of 25° (second notch).